CHEM-LESSTM Systems are available for all sizes and types of pools. 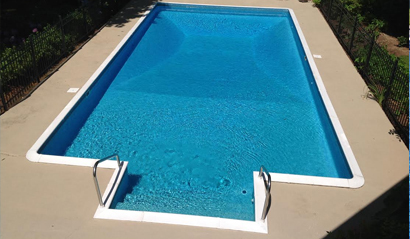 We have options to fit your pool size and budget, even for the largest commercial applications. Below are the most common systems for typical pool systems. CHEM-LESSTM Systems work in conjunction with the filtration and circulation systems installed on your pool. The Electro-Ionization Chamber contains two sacrificial electrodes made of a special alloy of copper and silver or zinc. 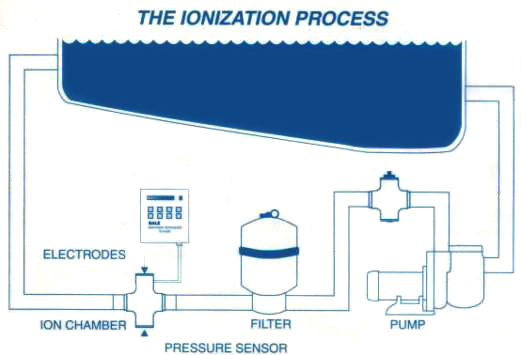 The rate at which the ions enter the water is controlled by a power level selector on the control unit. 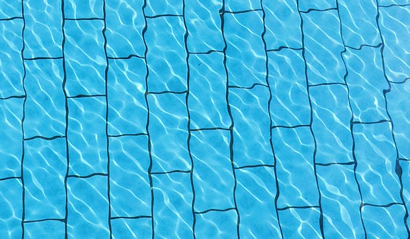 Unlike chlorine and other sanitizing chemicals, copper and silver or zinc are not affected by heat or light and provide a long term sanitizing residual that is easily tested and maintained. 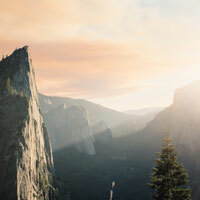 Unlike chlorine and other chemicals which control organics by oxidizing (burning them up along with your eyes, skin, and hair) charged copper and silver or zinc ions bond to these contaminants and interrupt their metabolism, causing paralysis and death. While these minerals are toxic to algae, viruses, and bacteria, they are completely safe and healthy for you and your plants. Fish can live in ionized water! Don’t try putting them in a chemical pool! Your pool is to enjoy, not spend your money and time on. Why spend your time testing and dosing your pool, fighting algae, and balancing water? Why worry about storing and handling dangerous caustic chemicals? The CHEM-LESSTM System is the simple, effortless way to end these steps forever. The system is centered on a state-of-the-art electro-ionization process originally developed by NASA for the Apollo space program. The system emits small amounts of electrically charged copper and silver or zinc ions into water to control bacteria, algae, and viruses without high level dosing of dangerous chemicals. 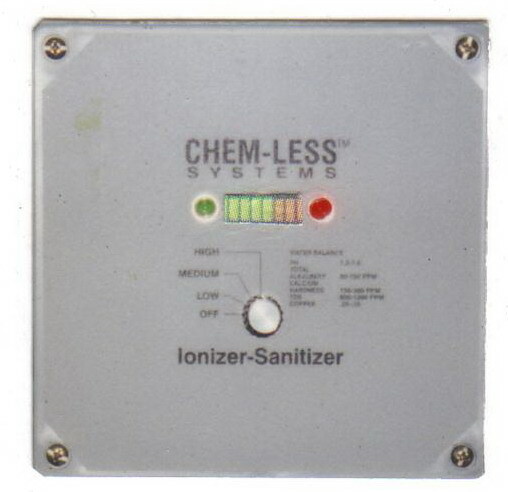 CHEM-LESSTM ionizers are earth friendly. Natural minerals are used to keep your pool sparkling clean. Our system requires less pump run time and the ionization unit uses less than a 15 watt lightbulb. Our system greatly reduces the chemicals that you and your family are exposed to when swimming. With a CHEM-LESSTM System you eliminate up to 95% of the harmful chemicals you would ordinarily need to sanitize your pool. You reduce your exposure to these chemicals and their by-products and you keep them from harming the environment. Simply put, your pool water will be safe enough to drink. The amounts of copper and silver or zinc in your water will be lower than in most types of bottled mineral water. "I've used chlorine and salt water systems before going with CHEM-LESSTM. I had no idea how wonderful it could be to go outside to a perfectly clear pool every single time. I love it." 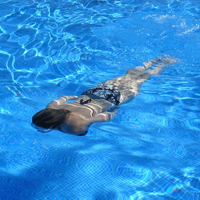 "The CHEM-LESSTM system has reduced use of pool chemicals to a very minimum... There has been no need for additives such as algaecide because the pool is as you see it." "I have had a CHEM-LESSTM system for the last 20 years thereby saving thousands of dollars not having to buy chemicals. My pool is always crystal clear, safe and doesn’t turn my kids hair green." Thousands of people are enjoying the CHEM-LESSTM system and the trouble free pool that comes with it. We've been installing this system for decades and have yet to have a single unit returned for reasons of dis-satisfaction. Get yours today and enjoy the peace of mind knowing that your pool is almost maintaining itself and is ready for you and your family all season long. We created the CHEM-LESSTM pool controller and ionization system back in the 1980's before anyone was considering chemical alternatives to pool maintenance. Our system was the pioneer system for alternate pool management and was manufactured with ISO specifications. The RALS 2000 has been running on pools for the last 25 years and is still going strong. CHEM-LESSTM develops an out of flow-line approach to ionizations that improved ion delivery. This innovation enhanced the pool sanitization process even further. 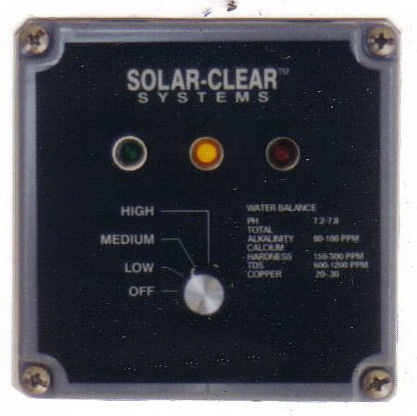 We also developed the Solar-ClearTM as well as a pressure switch for monitoring filter pressure and reducing required maintenance even further. The CHEM-LESSTM solution became the product of choice for many customers nationwide and continued to prove to be a dependable solution. Dealers came on board to provide the solution to customers. 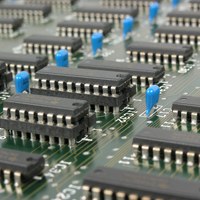 Continued research refined the solution to bring even more value to customers. We continue to fine tune the CHEM-LESS product line to bring you the highest quality and lowest maintenance solution to your pool. 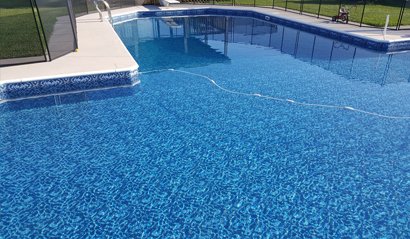 We continue to service our products decades after they've been installed on satisfied customer's pools.